BAKE CHEESE TART specialises in freshly baked cheese tarts. They have collaborated with tea specialist Kobayashi from Kyoto Shogyokuen, who is one of the only people in Japan to possess the top rank level 10 for tea leaf selection and appraisal. 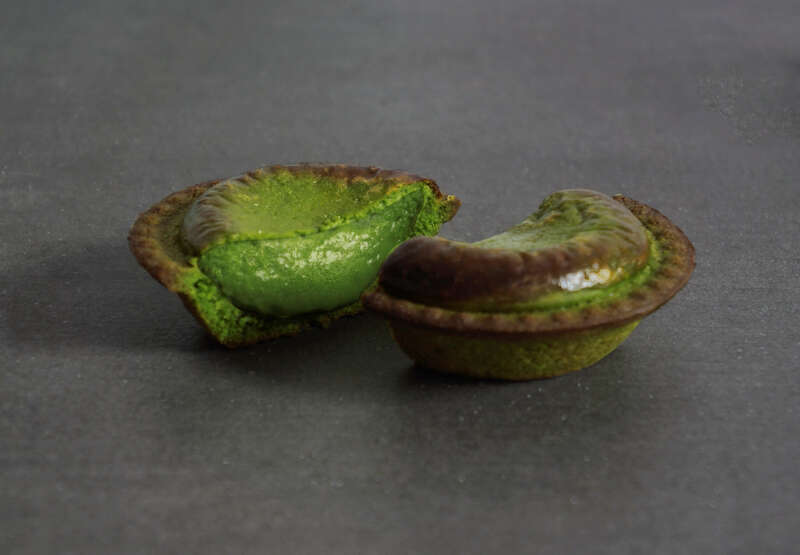 Two new matcha cheese tarts will be released for sale from Monday 15/04 to national holiday Tuesday 30/04. 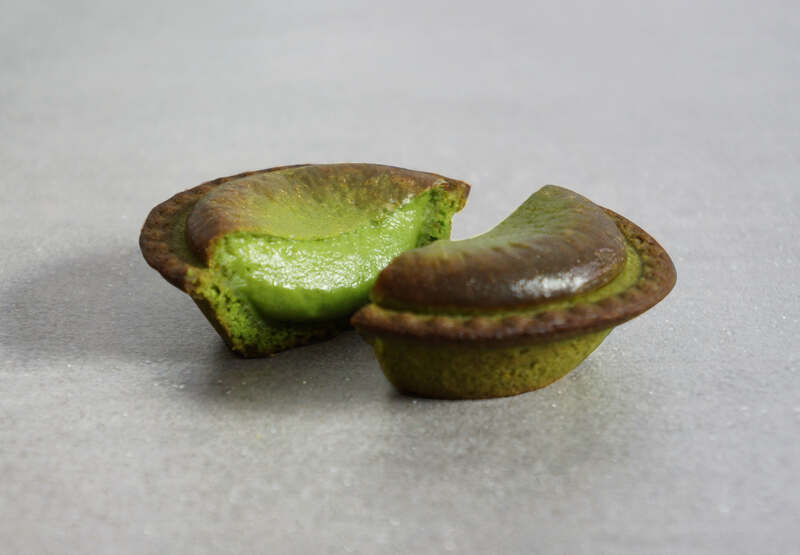 The matcha used for the cheesecakes was specially selected and blended by Kobayashi’s rare high level skill. Kobayashi used more than 30 varieties of uji matcha leaves to create this top quality original blend. 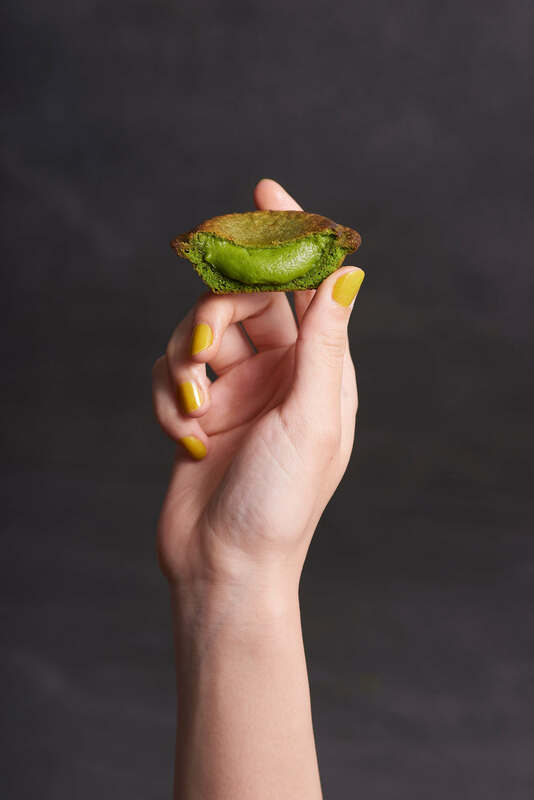 In order to create a strong, bitter taste and rich aroma, the tea leaves for the matcha cheese mousse are picked as early as possible. The tart base is also thoroughly kneaded before baking. Due to the careful selection of tea leaves, this first bitter matcha remains a vivid green even after baked. This fresh green colour is a fresh symbol of summer and fun! After your first bite, the impact from the matcha fills your mouth. The aroma of the matcha and deep bitterness is what makes it so wonderful. The gentle flavour of the fresh cheese mousse compliments the matcha. The sweet and authentic matcha flavour combined with the wonderful aroma is hard to get bored of. From Monday 15th April to Friday 31st May, you can try out the shop-limited BAKE matcha milk soft ice cream! 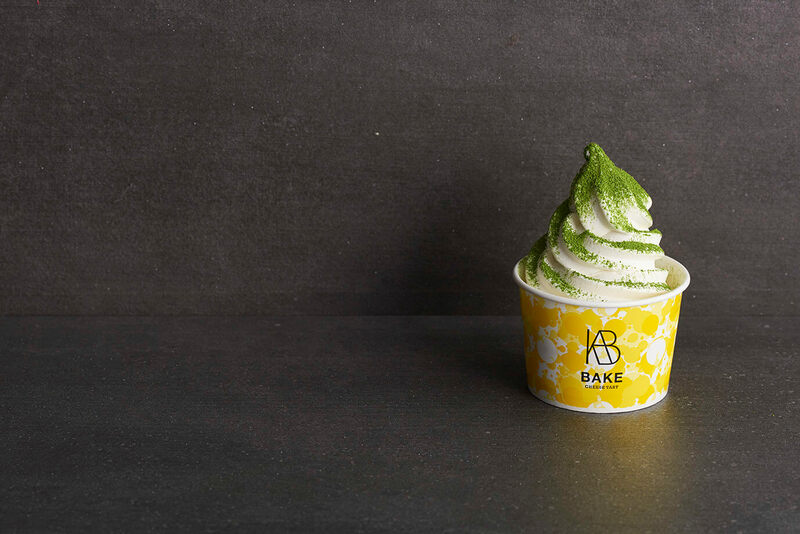 This ice cream is made with an abundance of matcha powder and deep-flavoured milk. The smooth texture feels like frozen fresh cream melting in your mouth. As we leave spring and approach the summer, this is the perfect ice cream! You just cannot miss out on this top quality matcha-filled sweet treats! As we leave spring behind and look forward to the summer, make sure you try out these luxurious matcha treats!